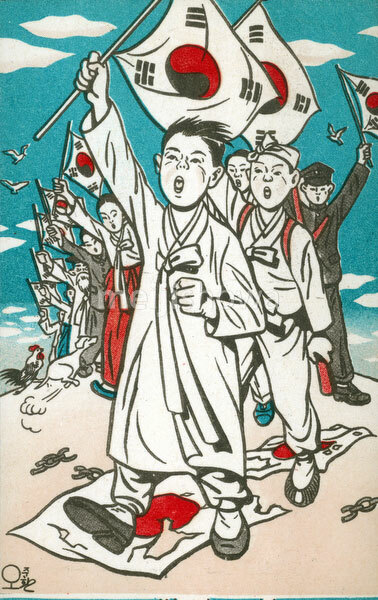 Postcard commemorating first anniversary of Korean independence (August 15, 1946). Koreans holding Korean flags walk over Japanese flags. Gwangbokjeol (literally “Restoration of Light Day”), commemorating Victory over Japan Day (V-J Day), is celebrated in South Korea on August 15. Gwangbokjeol was officially designated a public holiday on October 1, 1949.